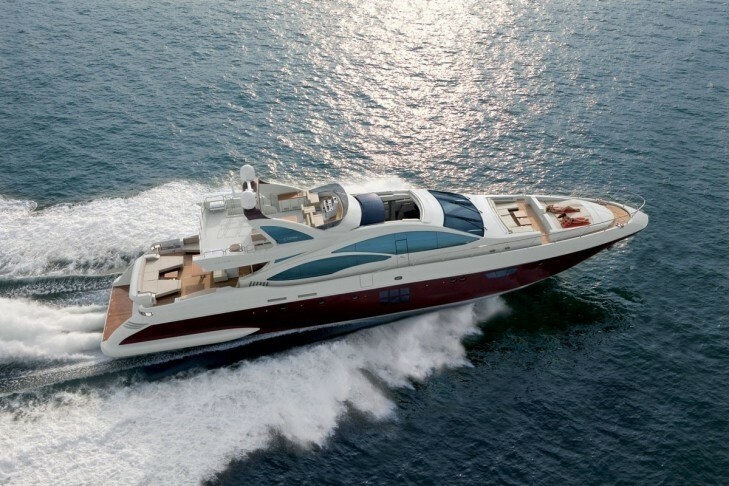 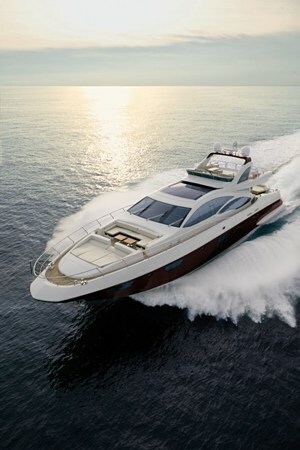 THE SULTANS WAY 007 is an Azimut 103s (30,91 m 101' 5'') motor yacht as launched in 2007 and now available for charter. 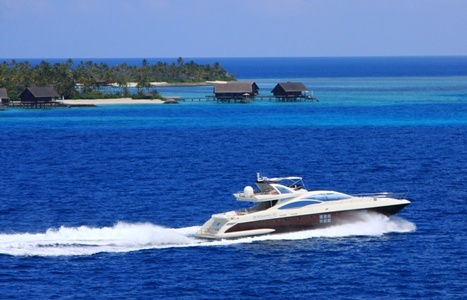 She is available for luxury yacht charters in the Maldives. 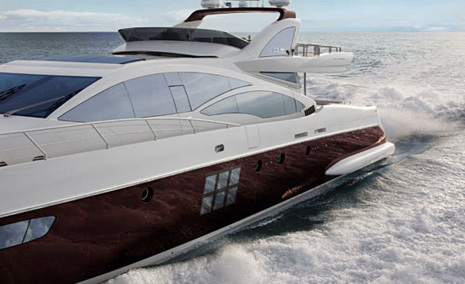 You can also choose between THE SULTANS WAY 001 is an Azimut Leonardo 98 (30,75m (100' 10")), and THE SULTANS WAY 006 is an Azimut 68s (21,17 m 69' 5''). 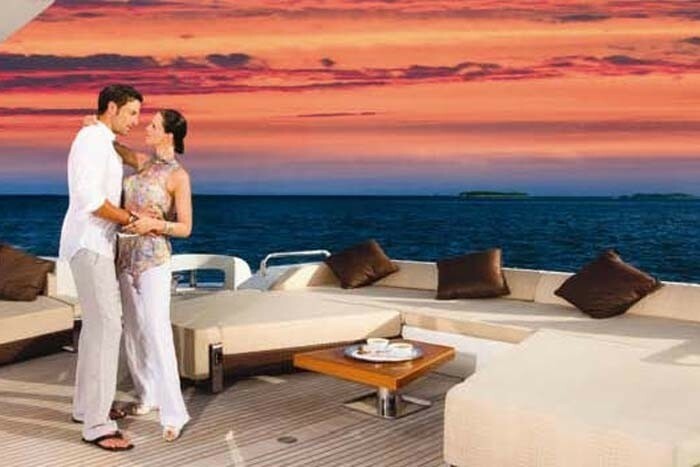 It is now possible to charter a locally Maldives based crewed yacht to explore the Maldives in style. 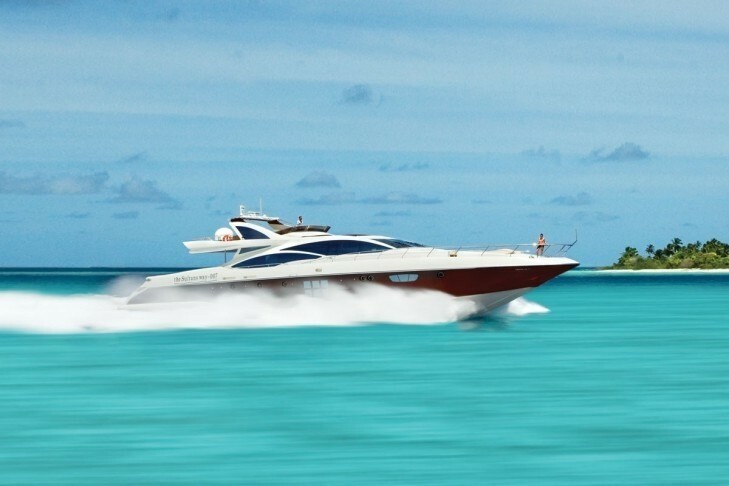 In the Maldives you can choose from the 3 yacht beginning with the name THE SULTANS WAY – the 007 Azimut 103S, the 001 - the Leonardo 96 and the 006 Azimut 68S. 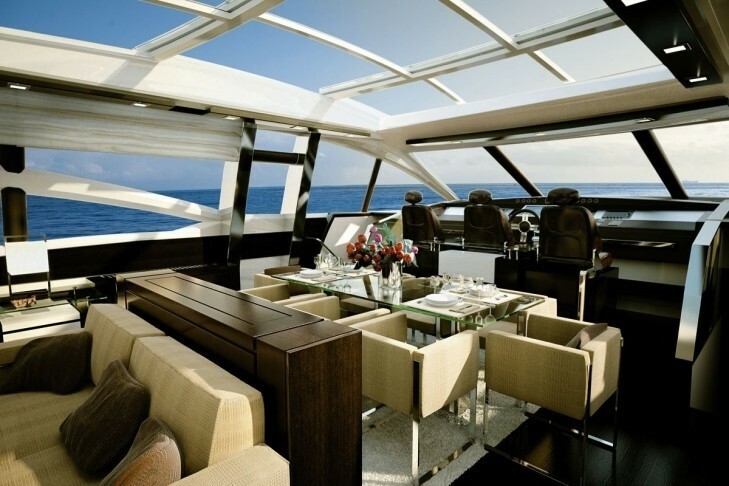 The charter of the 007 AND 001 includes all food and beverage, diving and 4 hours of fuel but no wines and spirits. 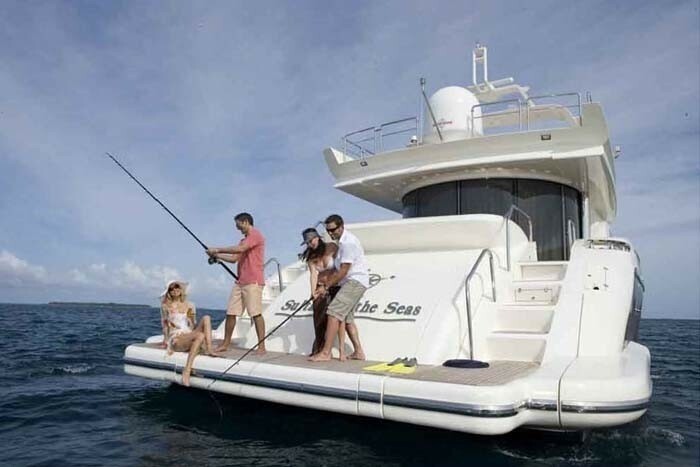 006 is usually used for day charters. 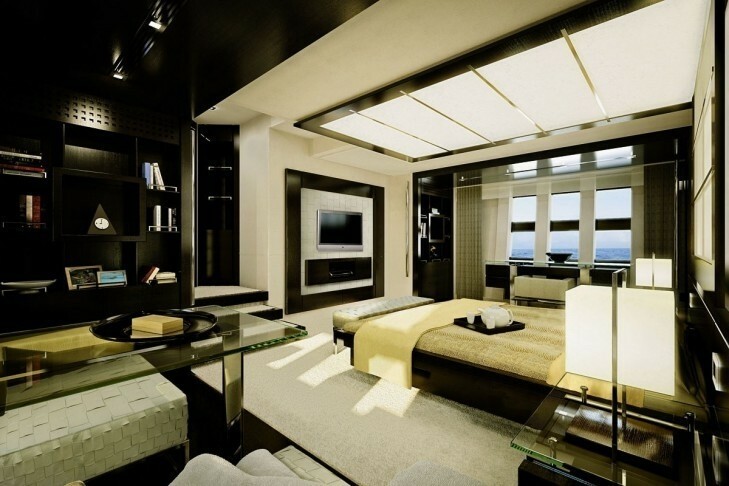 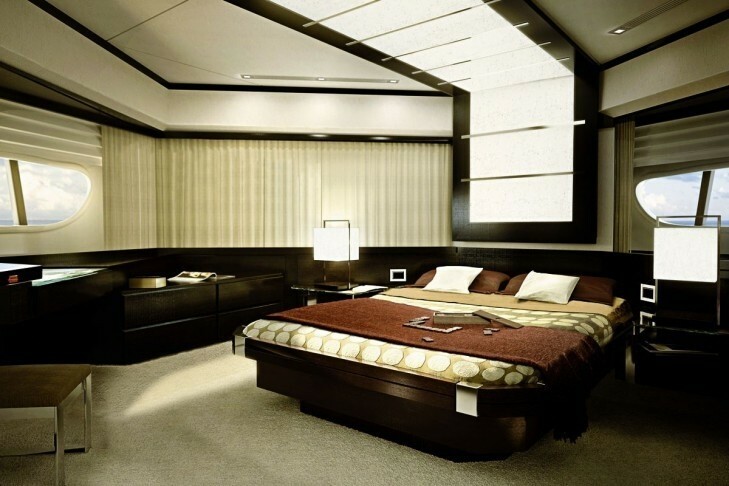 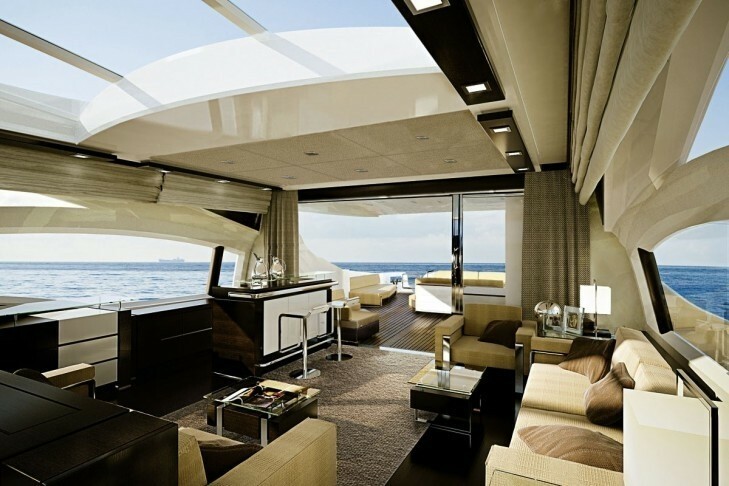 - Freedom to enjoy the lounge and cockpit as a single open space. 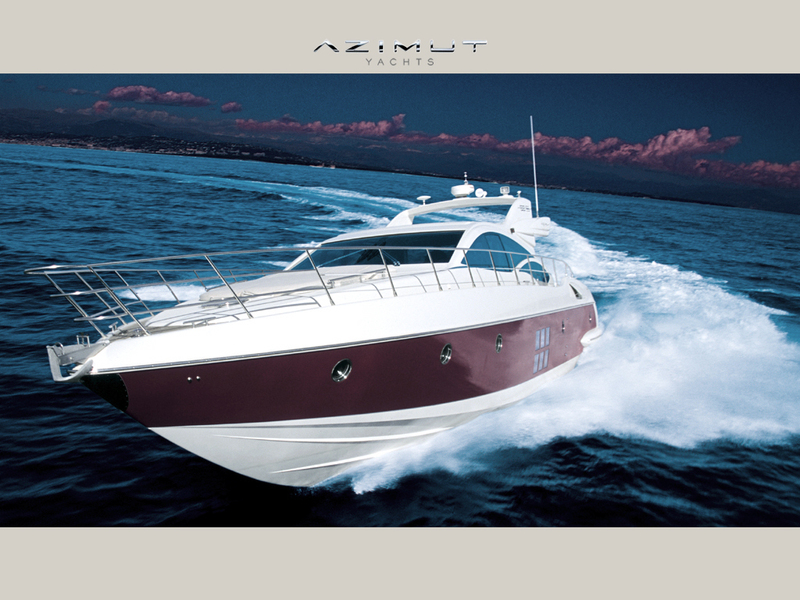 The fantastic Maldivian crew of these luxury Azimut motor yachts will introduce you and your guests to the beauty of the famed Maldives. 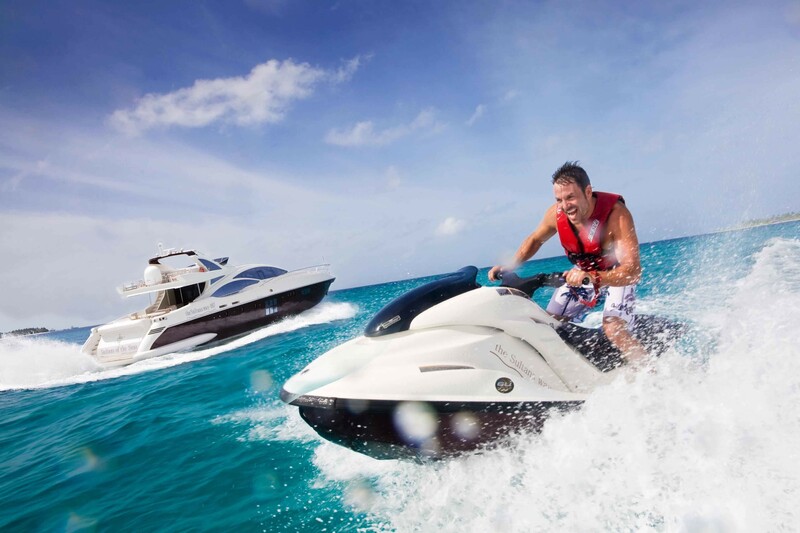 The best sights will be at your finger tips, be they deserted islands, locally inhabited islands, luxury resorts or pristine reefs for underwater exploration. 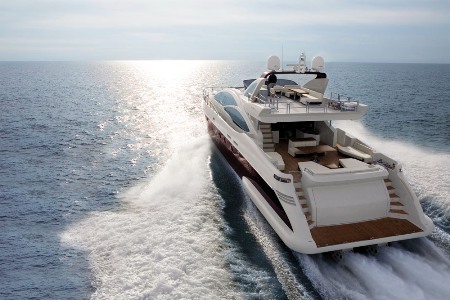 Guests have a choice of venue for meals on board or perhaps a beach BBQ on the edge of a reef or sand bank. 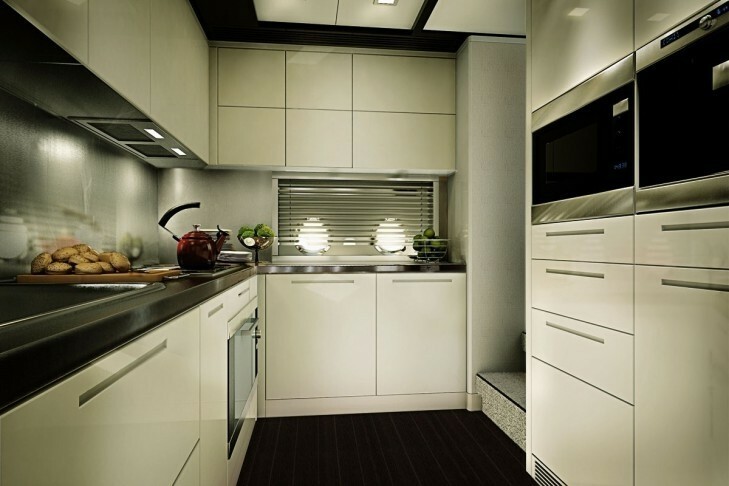 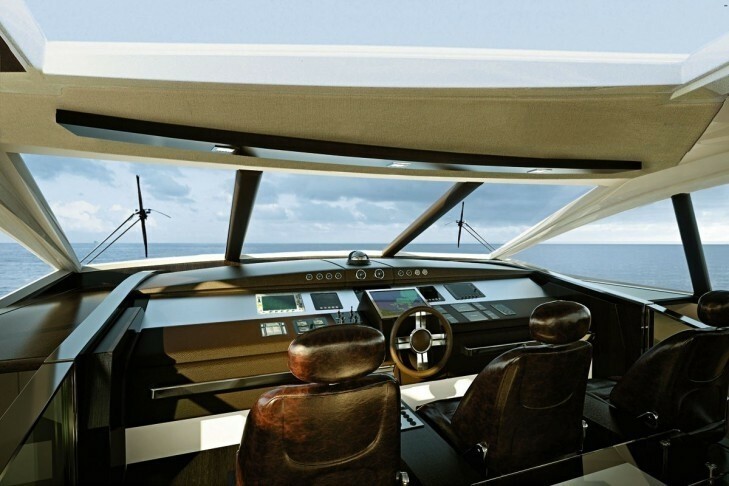 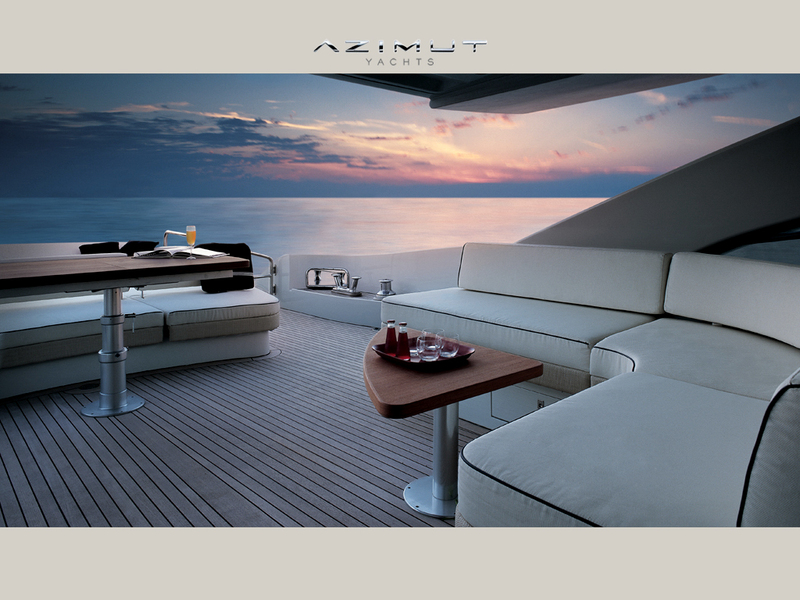 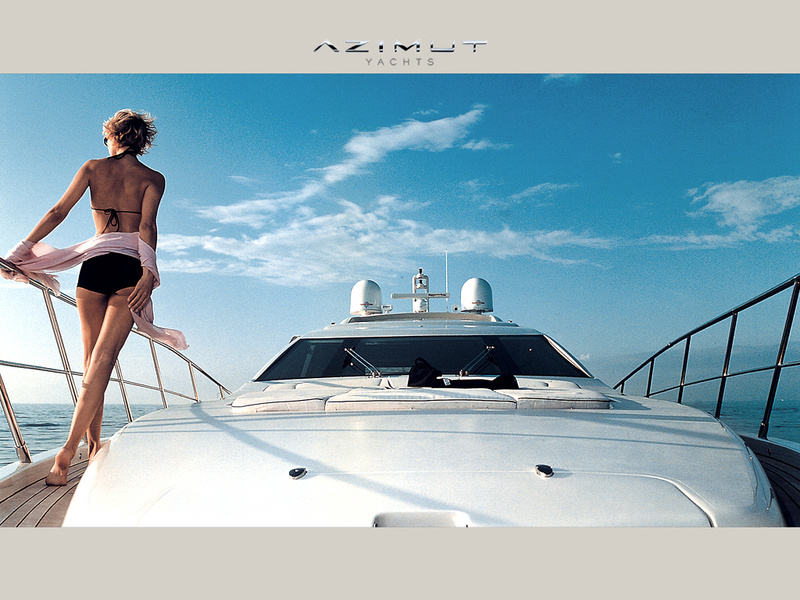 The Azimut 103s has a fullwidth master cabin aft with centerline king sized bed and en suite head and shower. 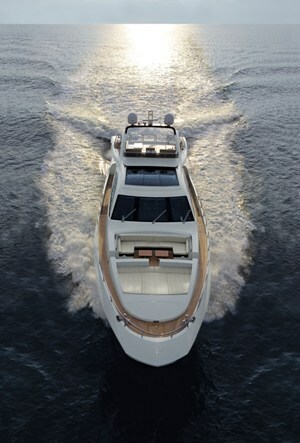 Forward VIP and two twins all with en suite head and shower. 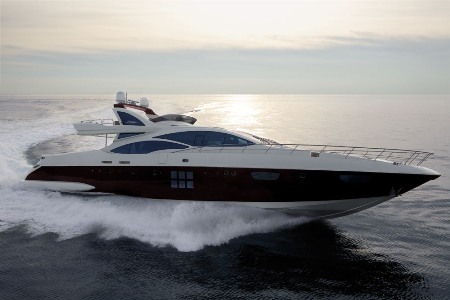 THE SULTANS WAY 007 has the following extras to enjoy while onboard: Her Tenders & Toys include 2 jet skis, a jet tender and various water toys. 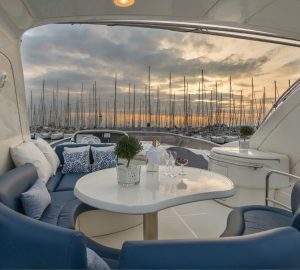 Her Audio Visual Equipment and Deck Facilities Include a Bang and Olufsen sound and Video system, flat screens in all cabins and a WiFi internet connection.